Euan Doidge completed his MChem at The University of Edinburgh in 2014. He was awarded a Principal’s Career Development Scholarship to remain at the university to pursue a PhD in Chemistry, which he completed in 2018. From mining nickel from rocks, to recycling gold from waste electronics, his research exploits coordination and supramolecular chemistry to develop and better understand chemical separation processes for more efficient and environmentally friendlier metal production. During his PhD, Euan competed in the International 3 Minute Thesis competition, winning the University of Edinburgh heat, UK (Vitae) People’s Choice and International (Universitas 21) Highly Commended awards for his presentation ‘WEEE are Golden: metal recovery by solvent extraction’. 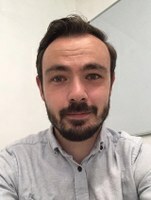 Euan is currently a Teaching Fellow in the Department of Chemistry at Imperial College London and is a Fellow of the Higher Education Academy.